The Kaufmans* were a typical American couple living in Israel. While they had no extended family in the country, they were thrilled to be living in the Holy Land – and even more thrilled to be the new parents of adorable baby twins. And then crisis struck. Their precious twins suddenly underwent a life-threatening medical situation, and were rushed to the hospital. Overnight, the Kaufmans were thrust into the confusing world of the Israeli health care system, frightening and indecipherable Hebrew medical terms were thrown at them and, with no family support whatsoever, the crisis threatened to drown them. That’s when a neighbor suggested they call Rabbi Paysach Freedman. 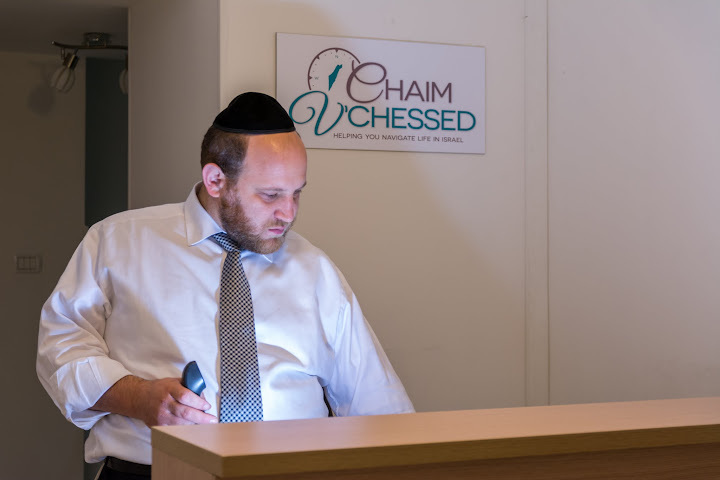 Rabbi Freedman, son of Baltimore's Rabbi Mendel & Mrs. Tzipporah Freedman, together with several other community askanim, had recently founded Chaim V’Chessed, a chessed organization unique in its all-encompassing scope. When Rabbi Freedman got the call, he sprang into action. It was a small gesture that spoke volumes about the warmth behind the organization – and it was exactly what the Kaufmans needed most at that moment. Rabbi Freedman then set to work arranging for a cadre of medical volunteers to be by their side for the entire journey – explaining hard to understand jargon and diagnoses, advocating for them in the hospital, and assisting them with transportation, meals, and any and all areas of care that they could possibly need. This took place eight months ago, when Chaim V’Chessed was still in its initial stages; indeed, it hadn’t even publicly launched yet. That wouldn’t happen for another half a year when, this past July, their hotline was officially set up and running. What, exactly, were they doing in those intervening months? The answer gets to the heart of what Chaim V’Chessed is. Any Anglo who’s lucky enough to call Eretz Yisrael his home knows what it is to experience firsthand the privilege and utter joy of living in Artzeinu HaKedoshah. Yet inherent in making your home in a foreign country, whether you’ve been there for 3 months or 30 years, is the reality that, when a crisis or challenge hits, you’ll have a harder time knowing how to navigate your way through. Rabbi Freedman, who’s been living in Israel for 19 years, and has been involved in tzedakah and klal work for much of that time, is very aware of the particular challenges facing the Anglo community. “Everything’s fine and wonderful when things are going well,” he says. “But when a challenge arises, they don’t know where to turn.” It doesn’t have to be an actual crisis, he points out. Even an everyday problem can be debilitating when you don’t know how to deal with it. With the strong encouragement of prominent Rabbanim, he founded Chaim V’Chessed to answer this need. Modeling the organization after the very successful Achiezer of Far Rockaway and the Five Towns, the concept behind Chaim V’Chessed is to be a one-stop chessed address for any need that an Anglo in Israel could possibly have. In both of the stories above, a phone call to Chaim V’Chessed dealt with the issue at hand. Using their medical connections, they were able to secure an appointment for Yaakov. And they took care of the Mandel family’s needs from start to finish, sending someone down to the police station to deal with the authorities, making the chevra kadisha arrangements, contacting a gemach to provide items for the shiva, and speaking to the local N’shei to arrange meals for the family. No question is too big or small. Their hotline, which receives calls at all hours of the day or night, is prepared to deal with any issue at all that may arise for an Anglo living in Israel, whether it is obtaining an emergency visa or applying for a property tax discount. Depending on the case, their staff – which consists of eight paid professionals, plus volunteers - will either handle the issue directly, or refer the caller to the appropriate organization that can help them. How is one organization equipped to handle so many disparate topics? They used this vast research yield to write up navigational guides on a variety of relevant topics, ranging from how to make a visa to how to purchase an apartment in Israel.. These guides are often sent to callers at the conclusion of a phone inquiry. In addition, the guides will soon be available for downloading on Chaim v'Chessed’s website. However, they realized that simply providing a pamphlet of written guidelines was not enough. “The Israeli culture is very different from the American one,” points out Rabbi Zevi Weingarten, a long-time staff member of Chai Lifeline who works in Hadassah Ein Karem with families of cancer patients. Rabbi Weingarten assists with the hospital arm of Chaim V’Chessed. 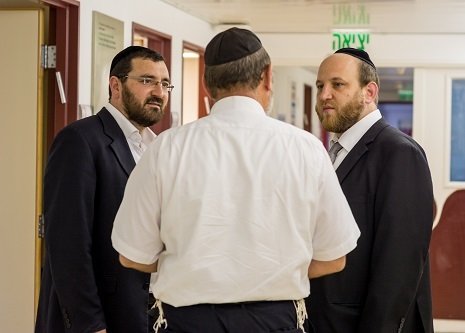 Rabbi Weingarten’s vast experience in the medical field, and on-site location, enables him to provide on-the-spot assistance to people in need of help in any Jerusalem area hospital. Having someone take you by the hand and show you exactly how things work and what kind of services are available can make all the difference. Raizy’s three-year-old son is only talking in simple two-word sentences. She senses something might be wrong with him – and that’s before his preschool teacher mentions that he isn’t able to sit still and focus during circle time the way the other children do. Raizy knows she should be getting him evaluated, but she doesn’t know the first thing about starting such a process. Navigating the special education system, whether it’s to get your child occupational therapy for his handwriting, or services for autism, can be quite daunting. Mrs. D’vora Grossbaum, a speech-language pathologist of 31 years renowned in her field, heads the special education arm of Chaim V’Chessed, together with Mrs. Faigy Guggenheim, an expert in the field of special education. They provide guidance to parents on any special education-related question, from “Where can I find a male speech therapist?” to “How do I apply for gan safa (a preschool for children who are language delayed)?” to “I think my child may have some kind of problem – what do I do?” They use their expertise, research and connections to guide parents through what can often be a confusing and overwhelming process. While they won’t diagnose a child, they will guide a parent who’s not quite sure what’s wrong with her child, says Mrs. Grossbaum, directing her to the appropriate evaluation or therapy. They will also help secure services when time is of the essence – for example, telling the parents where to go to get a reasonably-priced private hearing test when they need the results too soon to wait for an appointment through their health fund. Above all, the goal of Chaim V’Chessed is to give a sense of security to Anglos in Israel, knowing that they have somewhere to turn for whatever assistance they might need. 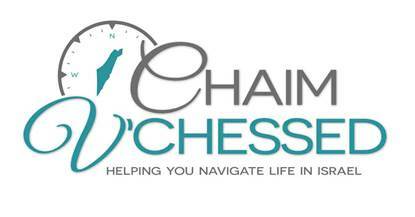 Encompassing every aspect of a person’s life needs…Chaim V’Chessed.